Captain Albert Magnin, Postmaster of Darby, editor of the Darby Progress, a veteran of the Civil War, prominent member of the G.A.R. and well known in Delaware county politics, died this morning shortly after three o'clock at his home, after an illness of less than two days. No hope was given by physicians when he was stricken that Captain Magnin would recover, but it was not thought that death would come so soon. 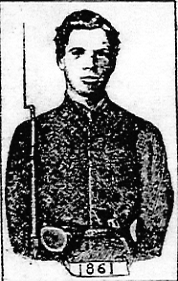 After Ft. Sumter was fired on, young Magnin left the plow in the furrow, and walked to the nearest recruiting station and offered his services to his country. He finally enlisted in Company D, Twenty-sixth Infantry, Pennsylvania, Volunteers, which was then organized under the name of the First Washington Guards for the defense of the Capital. 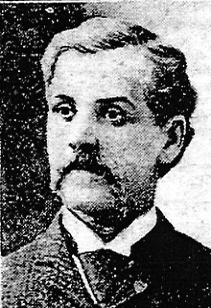 He was a member of the Pennsylvania State House of Representatives from Delaware County, 1890-1892. He was survived by a widow, 4 sons and 3 daughters.